FINANCIAL NEWS, RESET........WHATEVER WE CREATE...WILL BE MORE POSITIVE & PROSPER EVERYONE!! IN EVERY WAY!!! IN EVERY ASPECT OF LIFE!! STAND BY. The gentlemen speaking in the video is are not bumpkins but rather a highly educated men who have spent their entire lives in the financial field. At this point in our history all information is speculation is it not? There are fewer than perhaps eight human beings among a world population of 7 billion that are technically "in the room" with the GCR "red button." Unless you have a direct line to those individuals I believe it would be valuable to take in free pertinent information such as this from economic mavins especially on news networks dedicated to finance. BLOOMBERG MENTIONS THE GLOBAL CURRENCY RESET IN 2013 - ONE OF THE ONLY MSM MENTIONS & THIS LISTEN TOO!! Cs1969: I found this clip today and thought I would share. It's from You Tube from Feb. 2014. Have you noticed the accelerated pace at which reality seems to have spun out of control? Whether it’s banking, the environment, or lab-made designer disease the purveyors of chaos have turned up the heat and are rapidly stirring the pot. The EU financial overlords have determined that a systemic bank run across Europe would overwhelm the European Central Bank. So voilà! They’ve taken pre-emptive steps to stop this terrifying outcome by creating rules that make it clear who owns your bank account. Unsurprisingly the owner is not the account holder. It’s the bank. As such banks can do whatever they like with your money. Mark Kempton compiled a short list of the most common rules in place across banking establishments in Europe (and presumably elsewhere). A depositor can only withdraw ~10% of their balance in large-scale cash per year. These limits do not apply to small one-time incidents such as ~5,000 euros. All large cash withdraws must have a “valid” reason given. Hint: “I don’t trust my bank”, is not a valid reason. The vast majority of bank account holders are unaware of these rules because they don’t have large enough balances to create problems even if they withdrew every cent. That said, even this possibility of massive withdrawal activity by small account holders has been covered by the banks. "These are very serious questions, and apparently the answers would not meet with public approval.
. . . “Besides being highly toxic, these metallic particles, much of them nano sized in order to stay afloat as well as able to permeate everything possible, are very sensitive to electromagnetic influences. Upon this concoction in the atmosphere a directed energy device could literally steer the jet stream and local weather patterns. So What Exactly Are In Those Chemtrails? "Humanity is being manhandled and manipulated on a massive scale, and as Hitler and other despots have pointed out, the bigger the lie, the less they’ll challenge it. This is a subject for serious thought and consideration, not off-handed dismissal in the stigmatized name of “conspiracy theory”. Any challenge to today’s ruling oligarchy and the overarching onslaught on our planet we’re witnessing is readily swept under the rug of that convenient label. “As the study of epigenetics expands, researchers are finding out a lot about our DNA and genetics that we previously didn’t know in the past. For one, we are realizing that we are not always a victim of our genes and that our experiences and thoughts/behavior can make an impact on our DNA. It turns out “where’s there’s a will there’s a way” is more than just cliché. The engagement between the breath of life and heart-centered focused intent is key to humanity’s liberation. Please note: I'm taking a break next week from publishing the newsletter. Mike ~ Are Americans Apathetic Or Increasingly Awake & Aware? Simon Black ~ How Is This Not A Massive Conflict Of Interest? 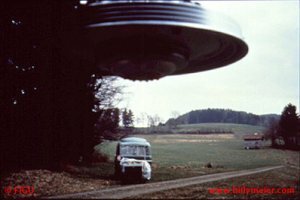 This is pretty intense and seems to debunk the debunkers. An economy built on money-worship and war and scarred by yawning inequality andyouth unemployment cannot survive, the 77-year-old Roman Catholic leader suggested in a newly published interview. Vatican City, Jun 13, 2014 / 07:00 am (CNA/EWTN News).- In an interview granted with Spanish-language magazine "La Vanguardia" on Monday, Pope Francis lauded Pius XII for his efforts in saving Jews, discussed Orthodox-Catholic relations, as well as the motivations behind his prayer meeting at the Vatican last Sunday. 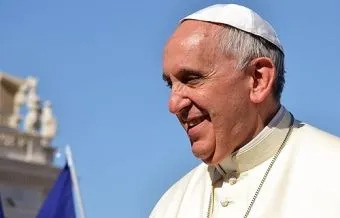 Pope Francis received us last Monday in the Vatican – a day after the prayer for peace with the presidents of Israel and Palestine – for this exclusive interview with “La Vanguardia.” The Pope was happy to have done everything possible for understanding between Israelis and Palestinians. You know that it wasn’t easy because you were there, and much of that achievement is due to you. I felt that it was something that can accidentally happen to all of us. Here, in the Vatican,99% said it would not happen and then the 1% started to grow. I felt that we were feeling pushed towards something that had not occurred to us and that, little by little, started to take shape. It was not at all a political act – I felt that from the beginning – but it was rather a religious act: opening a window to the world. What worries me regarding this subject is the figure of Pius XII, the Pope that led the Church during World War II. They have said all sorts of things about poor Pius XII. But we need to remember that before he was seen as the great defender of the Jews. He hid many in convents in Rome and in other Italian cities, and also in the residence of Castel Gandolfo. Forty-two babies, children of Jews and other persecuted who sought refuge there were born there, in the Pope’s room, in his own bed. I don’t want to say that Pius XII did not make any mistakes – I myself make many – but one needs to see his role in the context of the time. For example, was it better for him not to speak so that more Jews would not be killed or for him to speak? I also want to say that sometimes I get “existential hives” when I see that everyone takes it out against the Church and Pius XII, and they forget the great powers. Did you know that they knew the rail network of the Nazis perfectly well to take the Jews to concentration camps? They had the pictures. But they did not bomb those railroad tracks. Why? It would be best if we spoke a bit about everything. JUST RECORDED:Paladian update via Julien Wells June 6th & SAT. JUNE 14 EXSTRODINARY UPDATE SHOW!! (Recorded Link just below, Red Text) TO WHAT THE PELADIANS ARE OFFERING HUMANITY, IN THIS MOMENT OF NOW!! Via Julien Wells, Listen to this first info show below: "Fax from the Multiverse", received on June 6 2014, Then attend The Update Show on Diamonds Forever 31: Sat June 14 2014 1pm central, clik and scroll down past pictures: instruc how to attend this update. "The Pleidian Offer": via Julian Wells, Recieved on June 6 2014. Update will be given on June 14 2014, Diamonds Forever31 Show. JUNE 6th: First News click this window....then listen to June 14th update link just below. 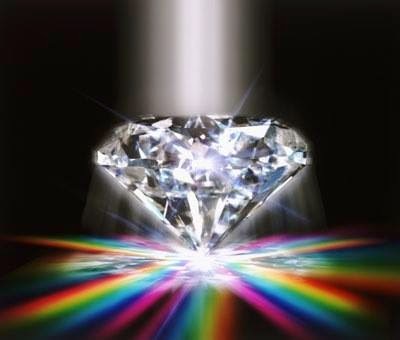 DIAMONDS FOREVER 31 Show, Saturday JUNE 14, 2014: Guest: Pleidians Udate via Julien Wells. LOOK BELOW FOR MORE INFO ON JULIEN WELLS. Exploration of our reality and learning how to take control of anything and everything we want.